Hallelujah! The angels are singing. It's a true story of angels caught on tape singing on U-Tube. But the best part is verse that is sung in the middle of the Hallelujah course. Everybody's singing at the Lord's Command. Of Jesus and His Children as they are coming through." Think about this. Realize what it means! Then Believe! Click the link to hear the angels singing. HE'S MY KING http://vimeo.com/1371841 AMEN! What if your life ended today? Are you 100% certain you would go to heaven? The One Minute SERMON.... Says it all! Want to know more? Keep reading below. If you didn't see the video, click the link below or copy and paste into your browser. 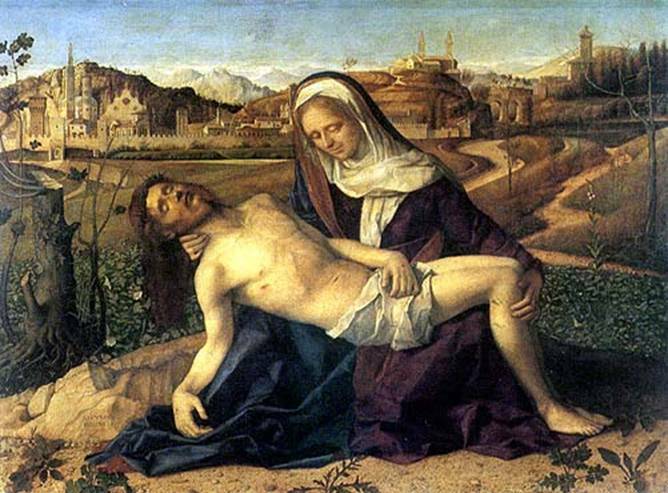 At the time, crucifixion was the "worst" death. Only the worst criminal were condemned to be crucified. 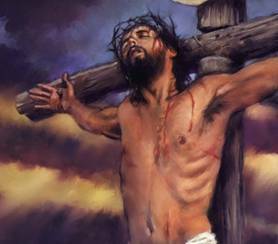 Yet it was even more dreadful for Jesus, unlike other criminals condemned to death by crucifixion, Jesus, who was innocent, was to nailed to the cross by His hands and feet. The nails were driven into His wrist. Not into his palms as is commonly portrayed. There is a tendon in the wrist that extends to the shoulder. The Roman guards knew that when the nails were being hammered into the wrist, that the tendon would tear and break forcing Jesus to use His back muscles to support himself so that He could breathe. Both of His feet were nailed together. 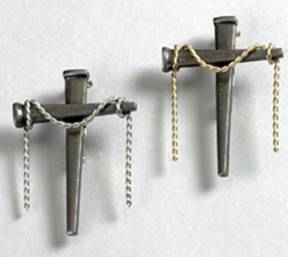 Thus, he was forced to support Himself on the single nail that impaled His feet to the cross. 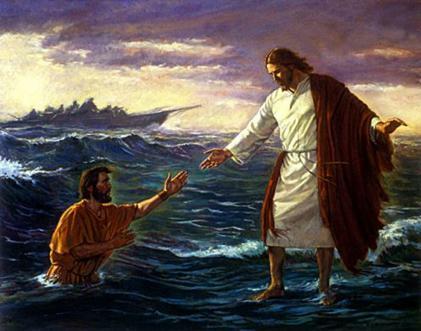 Jesus could not support Himself with His legs because of the pain. He was forced to alternate between arching His back then using his legs just to continue to breathe. Imagine the struggle, the pain, the suffering, the courage! Jesus endured this reality for over three hours! Yes, over three hours! Can you imagine this kind of suffering? 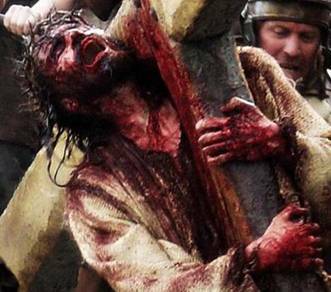 A few minutes before He died, Jesus stopped bleeding. He was simply pouring water from his wounds. 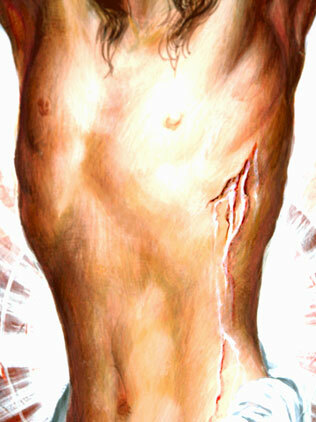 From common images we see wounds to His hands, feet and even the spear wound to His side. But, do we realize His wounds were actually made in his body? A hammer driving large nails through the wrist, the feet overlapped and an even larger nail hammered through the arches. And then a Roman guard pierced His side with a spear. Before the nails and the spear, Jesus was whipped and beaten. The whipping was so severe that it tore flesh from his body. The beating so horrific that His face was torn and his beard ripped from his face. 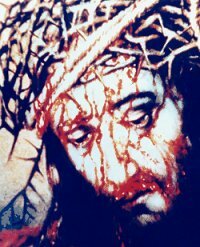 The crown of thorns cut deeply into His scalp. Most men would not have survived this torture! He had no more blood to bleed out, only water poured from His wounds. The human adult body contains about 3.5 liters (just less than a gallon) of blood. Jesus poured out all 3.5 liters of his blood. 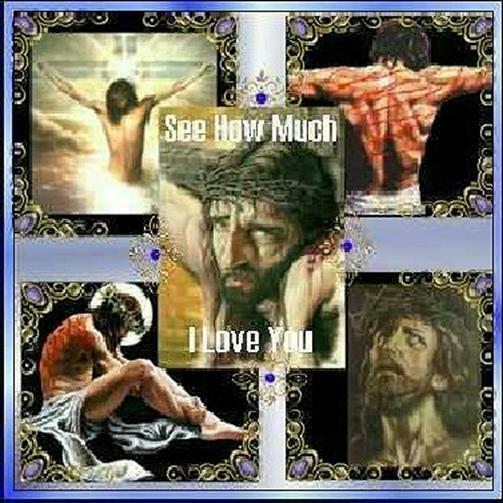 He had three nails hammered into his hands and feet; a crown of thorns on His head and beyond that, a Roman soldier who stabbed a spear into his side. All of the above without mentioning the humiliation He endured, while carrying his own cross for almost two kilometers while a crowd spat in His face and threw stones. 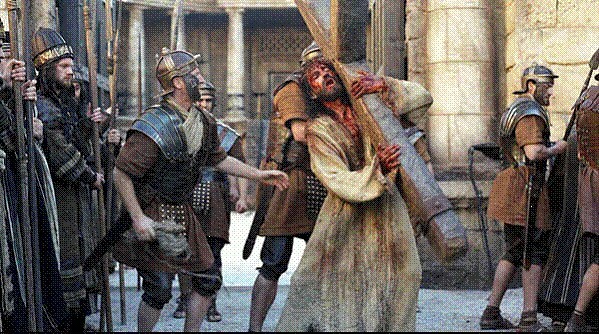 The cross was almost 30 kg of weight, only for the upper part where his hands were nailed. 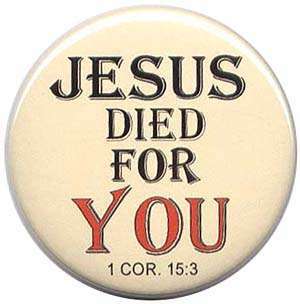 Jesus died for you! It's easy to ignore, but when it comes to God, sometimes we feel ashamed to tell others because we are worried about what they may think or that they may be offended. Accept the reality! The TRUTH is that Jesus is the ONLY SALVATION FOR THE WORLD. "I am the Way...yes, and the Truth and the Life. No one can get to the Father except by means of me." John 14: 6 God has a plan for all of us. Spend 60 seconds with God... Admit that you are a sinner, Ask Him to forgive you, Accept His Son, Jesus Christ as your Lord and savior. Read His word, then go out and tell everyone you know about what He has done for you! Take a moment to appreciate the power of God in your life. Jesus said, "Everyone therefore who acknowledges me before others, I also will acknowledge before my Father in heaven; but whosever denies me before others, I will deny before my Father in heaven." JESUS DIED FOR THEM TOO! The Bridge - a story to illustrate how God must have felt. It's Friday... But Sunday is Coming! Blessed is the Country whose God is the Lord. All quotes are from the "Living Bible"
"For God loved the world so much that he gave his only Son so that anyone who believes in Him shall not perish but have eternal life." "Anyone who calls upon the name of the Lord will be saved." "Don't you realize that you also will perish unless you leave your evil ways and turn to God?" 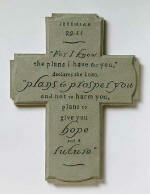 "Believe on the Lord Jesus and you will be saved, and your entire household." "Jesus shouted to the crowds. 'If you trust me, you are really trusting God. For when you see me, you are seeing the one who sent me. I have come as a Light to shine in this dark world, so that all who put their trust in me will no longer wander in the darkness. If anyone hears me and doesn't obey me, I an not his judge...for I have come to save the world and not to judge it." "For if you tell others with your own mouth that Jesus Christ is your Lord, and believe in your own heart that God has raised him from the dead, you will be saved." "If anyone publicly acknowledges me as his friend, I will openly acknowledge him as my friend before my Father in heaven. 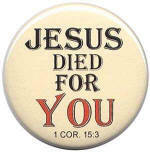 But if anyone publicly denies me, I will openly deny him before my Father in heaven." "But to all who received him, he gave the right to become children of God. All they needed to do was to trust him to save them." "Let not your heart be troubled. You are trusting God, now trust in me. There are many homes up there where my Father lives, and I am going to prepare them for your coming. When everything is ready, then I will come and get you, so that you can always be with me where I am. If this weren't so, I would tell you plainly." "My little children, I am telling you this so that you will stay away from sin. But if you sin, there is someone to plead for you before the Father. His name is Jesus Christ, the one who is all that is good and who pleases God completely. He is the one who took God's wrath against our sins upon himself, and brought us into fellowship with God: and He is the forgiveness for our sins, and not only ours but all the world's." A little boys astounding story of his trip to heaven and back. Painted when she was 12 years old. 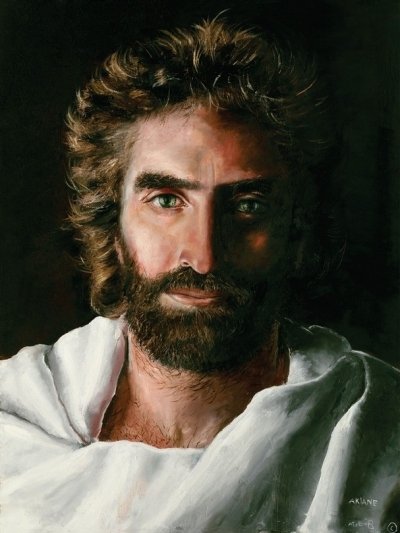 The only picture of Jesus that Colton Burpo says really looks like Jesus. sits at the right hand of God the Father almighty. Thence He will come to judge the living and the dead. He is the First and The Last, the Beginning and the End! His is Holy, Righteous, Mighty, Powerful, and Pure. His goal for me abundant life. Every day is a blessing for GOD IS! I'm passing this on to you. Yes, I do love Jesus. 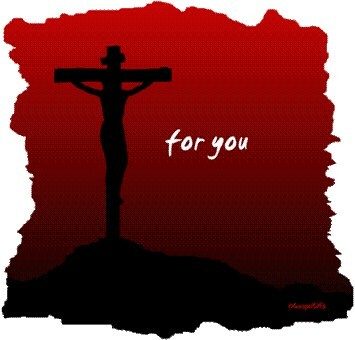 He is my source of existence and Savior. He keeps me functioning each and every day. 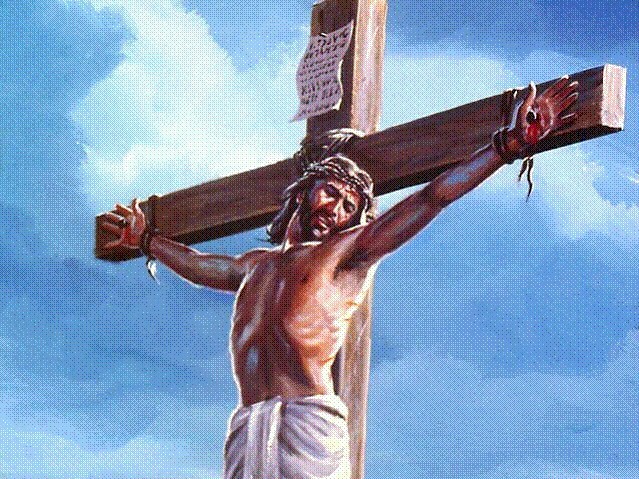 Without Him, I will be nothing. "Without Him, I am nothing, but with Him I can do all things." Life got you down? Everything seem to go wrong? IS YOUR LITTLE HUT BURNING? But then one day, after scavenging for food, he arrived home to find his little hut in flames, the smoke rolling up to the sky. The worst had happened; everything was lost. He was stunned with grief and anger, "God, how could you do this to me!" he cried. It is easy to get discouraged when things are going bad, but we shouldn't lose heart, because God is at work in our lives, even in the midst of pain and suffering. Remember, next time your little hut is burning to the ground----it just may be a smoke signal that summons the grace of God. For all the negative things we have to say to ourselves, God has a positive answer for it. When life gets you down, you need to reaffirm Who YOU Are in Christ. Here are 2 lists that Christ promises who you are in Him. You need to read these and believe them, to counter the lies of our enemy. There�s a little red rock sitting on my desk near my computer. I call it my dissertation stone. You see, years ago when I was working on my doctorate, I faced the same battle every time I faced a new assignment. I�d sit down to write my paper or to take an exam and Satan, my enemy, would be right there beside me whispering in my ear, �You can�t do this. You aren�t smart enough.� When I stopped long enough to remind myself that I had done well last time, he argued, �But you won�t get it right this time.� He filled my head with such doubt and fear, that I�d get up and walk away. The problem wasn�t that he was telling me lies. Satan always tells us lies! The problem was, I was believing his lies! When it came time to research and write my dissertation, the most challenging academic assignment I�d ever faced, the doubts and fears only intensified. Driving home one day, author Max Lucado was on the radio discussing his new book entitled He Still Moves Stones. His words were so intriguing that I couldn�t get out of the car once I reached home. He reminded me that the very same power that brought Christ back to life and rolled away that incredible stone that sealed His grave is available to me today. It hasn�t changed and it hasn�t diminished. I can face any impossible situation in His power. Whatever difficulty I�m facing today, God�s power is sufficient to overcome. God still moves stones! As I stepped out of my car, I glanced down and there among all the white gravel was one very noticeable little red stone. I picked it up, carried it to my desk, and placed it at the base of my computer monitor as my visual reminder that God still moves stones. Every time I looked at that little red rock I was reminded to ask God for His power to face that difficult task of writing my dissertation. Satan continued to whisper his lies to try and defeat me, but I no longer believed them. My friend, as you meditate on the miracle of the resurrected Christ today, remember that whatever impossible situation you are facing, God�s power is sufficient to make you victorious. There is nothing too hard for Him. He still moves stones! 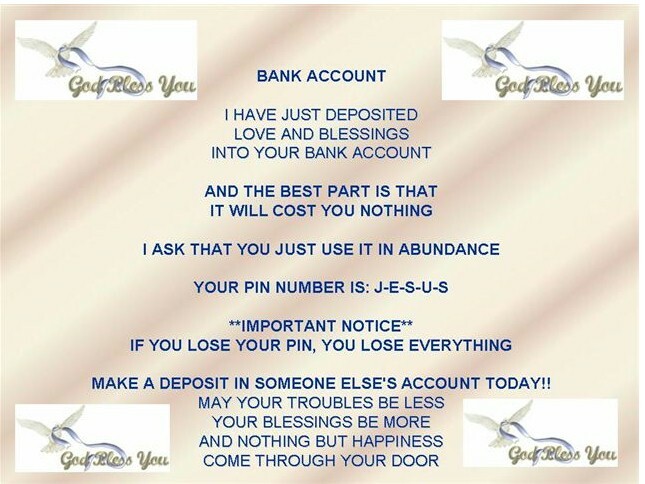 Almighty God, we praise and bless Your name because of who You are. May we never lose sight of Your greatness, and never stop trusting Your power. May we live in the power of the resurrection! You can read any of our past issues by going to our devotional website, www.alightformypath.com, any time.